Many people wonder if they can make a considerable amount of money online with all sorts of options like Affiliate Marketing, Freelancing, Selling E-books, Making Videos, Social Media Management, Domain Flipping, a long list of other activities and last but not least Blogging. This post focuses on blogging with a clear guide for you as a newbie to blogging or even an experienced blogger who is not making sufficient money yet. You can read my detailed post on SEO here as well. A niche is a targeted part of a larger market that has its own unique characteristics. You have to decide if you want to be a general blogger who blogs about anything that tickles his fancy (difficult to pull-off by the way) a food, fashion, travel, tech, specific industry or activity blogger. Ask yourself: what am I passionate about? That thing you can spend hours upon hours researching, discussing, working or writing on without getting bored. There might be a few of this and you should take your time to consider and decide which one you are the most proficient at. Your expertise on a subject is important in building your authority as a blogger. Once you have identified your favourite subject or area of expertise, you should search for some of the leading blogs in that field and study them. A simple Google search with the phrase ‘top blogs on cooking’ for example should give you a list of leading blogs related to cooking in the results if that is your identified niche. Do the same for whatever your passion is. i. WordPress WordPress gets a lot of praise for its ease of use and availability of plugins you can use to easily customize and add features that are important to you. There are 2 versions of WordPress; http://wordpress.com and http://wordpress.org. If you are starting blogging with very limited resources, it is better to start with wordpress.com and your blog could be ready in minutes. However, if you have funds to work with and set-up on a larger scale, you should consider using wordpress.org as it has better features and allows you do more especially considering that fact that you might not be able to fully commercialize a wordpress.com blog as much as you would like. You might need the services of a web designer to effectively use wordpress.org alternatively, you could use managed Wordpress hosting which is a bit more expensive than normal hosting plans. ii. Blogger Blogger is owned by Google and it is a very easy platform to start blogging with. It has a very simple layout for blogging although there are themes that can give you elegant designs if this is what you want. 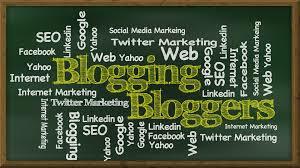 The major advantage of Blogger is that it allows you to begin blogging as a newbie without complexity. Another advantage is that it is easy to commercialize your Blog with Google AdSense (more on this later). It is highly recommended that you write your own articles as a newbie blogger. For starters, it is important you create your own writing style that readers can begin to identify and relate with. A good idea for your first post is an introduction –tell your readers about yourself, what you seek to achieve by starting the blog and what they should expect from you as a blogger. This should be done in a conversational manner and you should make this post as interesting as possible for your readers and ask them to react with their comments giving you feedback and initial engagement with your readers. Prepare yourself for all sorts of responses ranging from kind words of encouragement to vile and unfair insults; it comes with the job as a blogger. You have the option of deleting objectionable comments that are in bad taste. However, you should not do this with fair and objective criticism; it is meant to help you become a better blogger. Your next few posts after the first should be topical and insightful. This helps you to gain traction and begin to establish a small but growing following. It is not enough to write and post content on your blog and expect traffic (people to come read it). You should create social media accounts and promote your content on them. At the very least, you should promote your blog and articles on Facebook, Twitter and Instagram. I have mentioned these 3 so as not to discourage you with a seemingly huge workload. Sharing your content on social media can be made easier with tools like Hootsuite, AgoraPulse and Buffer (see ranking by users for 2016) which allow you to schedule posts across different social media platforms. As you gain more experience and capacity, you should promote your content on other social media platforms like Google+, LinkedIn, Stumbleupon, Reddit, WhatsApp and lots more. You might be proficient at some more than others and it is better for you to focus on the ones that you have had some degree of success on. It is very difficult to get people to visit your website and it is very important you try to retain them when they do. The best way to do this is to encourage them to subscribe to your blog by email. This allows you to send updates to them when you have a new post or at regular intervals which may be daily, weekly or monthly. I recommend you send updates weekly so as not to annoy your subscribers with too many updates. Many blog themes have default email subscription embedded in them. However, you can get more advanced ones like Mailchimp, Aweber or SumoMe. Search Engine Optimization (SEO) is simply the totality of actions taken to make your blog and posts attractive to search engines thereby getting you targeted traffic. The analysis you have done on your blogging activity for the initial 1-3 months should give you an indication of keywords that are driving the most search traffic to your blog. However, you should also research the best keywords in your niche that have the highest search traffic. Try to craft relevant and insightful content that match the questions people are asking related to these keywords. If you have successfully implemented the first 6 steps in this post, you should give yourself sometime to review the results. You should wait a minimum of 1 month and 3 months at most to review your initial results. Google analytics is a particularly useful tool in this regard; you may also use Hubspot or Kissmetrics to review your activity and results. Observe positive trends that show you were you are succeeding and identify negative trends that show where you are failing. Do more of what is successful and less of what has failed. Modify what does not work and reiterate what does by making it even better. There are several ways you can attempt to monetize. If you are having a Blogger or Word press.org based blog, you might be interested in applying for Google AdSense. This is a platform that allows Google to place Ads related to your content on your blog. You earn money when people click on the adverts they are interested in, you also earn a lesser amount for the numbers of views on your blog. If for some reasons, you find it difficult or impossible to use Google AdSense, you should try Infolinks which uses the same concept although largely different types of ads. 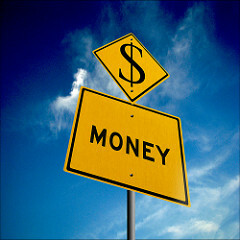 Another way to make money from your blog is through affiliate marketing. With this method you directly promote another business’ products or services on your blog using links, banners, widgets, etc. and get a commission on each sale initiated through clicks on the ads from your blog. 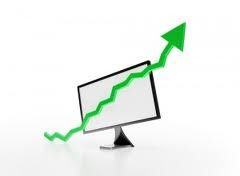 Some affiliate programs allow you to earn from advert impressions too but this generates less revenue. If you can promote the products and services of other people, you can also promote for yourself. You can sell your expertise as a consultant to others, sell things you produce or sell things like clothes, shoes, bags, toys, electronic gadgets, your own guides, manuals, e-books and lots more. Finally, you can also sell Advert space and sponsored posts on your Blog. However, this will only be worthwhile if you have substantial traffic on your blog. Potential advertisers would be attracted to place adverts if they are convinced there is actually a viable audience they can reach through your blog. This is what helps a successful blogger like Linda Ikeji generate so much revenue from her blog. There are always new trends, tools, skills, technology and platforms that bloggers can use to promote their blog and thereby increase their revenue. For some people it might be a secondary source of income, while for others it would be a full time job and major source of livelihood. Whichever becomes true for you depend largely on your drive and determination to succeed as a blogger. 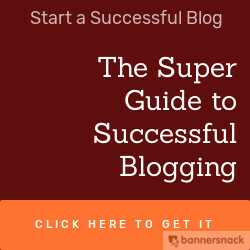 If you have taken the first 9 steps of this guide, there is not much left to do than to be patient until your blog begins to be successful in terms of traffic and generating income for you. Like many other legitimate business ventures, it takes time to make large income from blogging and being patient might be the difference between success and failure. Being a successful blogger is a process not a destination, always try to remember this. However, do not forget to have lots of fun and make good friends while embarking on this blogging-to-riches journey. You can contact me via email: olatuson@gmail.com if you get stuck along the way or need professional advice with your blogging or with using social media to promote your brand. Alternatively, you can call or reach me via WhatsApp on +2348085404500. Let me know what you think by dropping a comment, I look forward to reading from you. I have did all the steps since 2011. Very nice to read from you, can I have the link to your website please? It will help me understand the problems more. As for earning money, there is Google Adsense, Infolinks, selling your skills through your blog and lots more listed in the post. Have you tried to register with Adsense directly via http://www.google.com/adsense? If you have not please try to do so. Try changing the device and browser you are using. If that fails, you can visit https://productforums.google.com/forum/m/#!topic/adsense/HOLvvhVUDNU to see if the tips here are useful to you.